Mushrooms, if grown hydroponically are grown as fungi instead of plants. 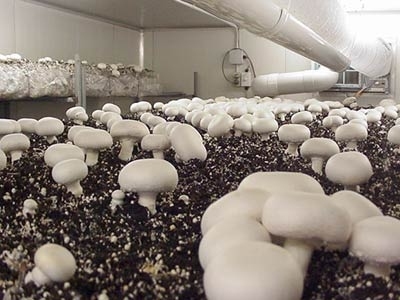 Hydroponically grown mushrooms have a unique appearance and are of superior quality. 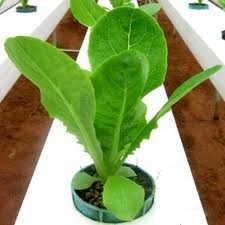 Hydroponics basically means growing plants in nutrient-enriched water solution instead of soil. Here are few helpful tips on how you can grow hydroponic mushrooms easily in your own hydroponics garden. Types of mushrooms you can grow hydroponically are: nameko, shiitake, oyster, lion’s mane, button, maitake, cinnamon cap and enokitake. 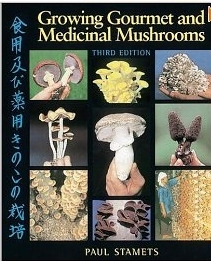 Growing mushrooms is not a tough job as long as you’re clear about what you are doing. With the help of hydroponics, improved size and flavor is guaranteed. You can grow huge quantity of mushrooms even without having a proper hydroponics garden. Yes!! You read it right; you can grow mushrooms without a garden. 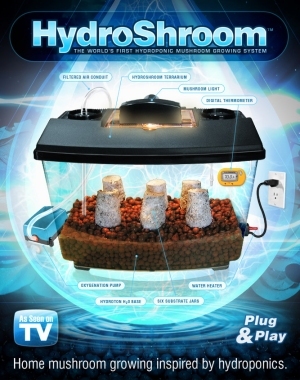 The easiest way to grow hydroponic mushrooms is by using a mushroom growing kit. This kit is basically a square-shape block of compressed sawdust of size not less than 12 inches. You’ll get this block with inoculated mushroom seeds. However, you can build your own sawdust or seed block. The most popular and convenient method to grow hydroponics mushroom is soak the sawdust block in cold and non-chlorinated water for few hours and then put them in dark place with temperature ranging between 60ºF and 75ºF. Mushrooms grow faster in cold water therefore you can get large amount of edible mushrooms in very less time. After your first harvest of mushrooms, you can keep your sawdust block to rest aside for a week and then reuse it for another mushroom planting cycle. But, with every new cycle the size and number of mushrooms might reduce as the amount of nutrients decreases as the same growing medium is used for many mushroom growing cycles. When the sawdust block is fully used and is of no use, you can add it in a garden compost pile. If you wish to grow hydroponic mushrooms without a kit then you have to start growing some mycelium until it’s big and strong enough to support a mushroom reproductive cycle. For growing mushrooms you can use a fresh mushroom, a culture purchased from a culture bank or seeds. Now place mushroom, a culture or seeds on a Petri dish and allow mycelium to grow out. After couple of weeks you’ll see formation of sterilized grain like wheat, rye or millet. And, after almost 4 weeks mushrooms will grow on the grain. You can use grain seeds to grow more grain. Carry out this process in a clean environment to avoid any contamination due to harmful bacteria or other molds. It’s advisable to clean the growing medium before using it. To use this method of growing healthy mushrooms it’s very important to clean the room and the filter carefully. Hydroponic mushrooms if grown carefully are easy to grow and can be delicious addition to salads, fries and curries. If your garden is in a closed off bedroom or small grow room; keep the door open and the window cracked. Air exchange is a must. Plants deplete the CO2 (carbon dioxide) in the room, and fresh air must be provided, one way or another. A fan is a must... just a cheap oscillating fan. The leaves should be moving just very gently, 24/7.